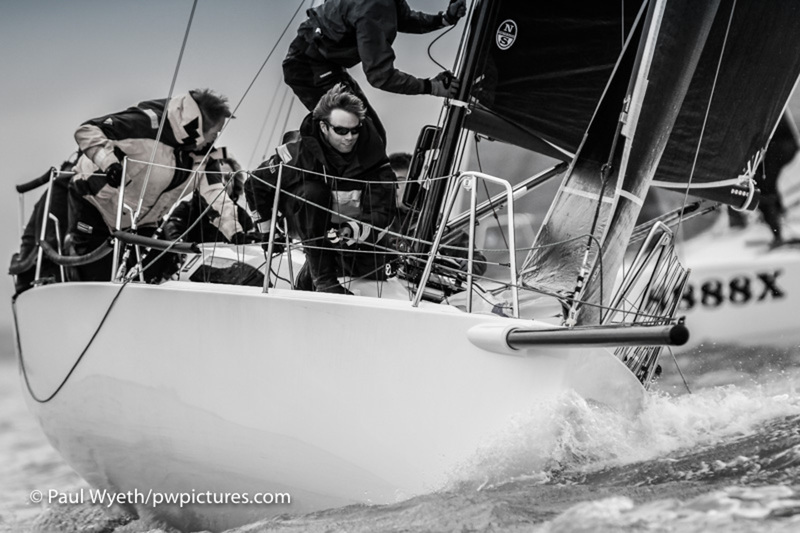 A brisk and chilly 12-20 knot breeze greeted competitors in the final race of the 2016 Hamble Winter Series, providing some great conditions for a fitting end to a close fought series in all classes. 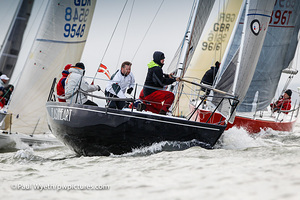 In IRC1, Overall winners Nifty were absent from the racecourse, leaving the field open to Thomas Kneen and crew on JPK10.80 Sunrise, who won the final race of the series by a comfortable margin. 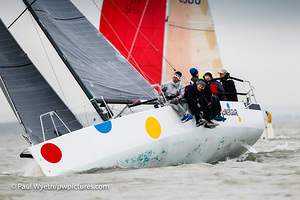 They were ahead of James Wilkie's Reflex 38 Fast Tack Puma, who finished the race in second place, with Christopher Daniel's J/122 Juno third. 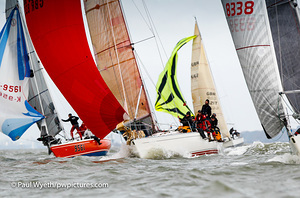 That leaves Richard Patrick's First 40 Dusty P in second overall and Fast Tack Puma in third. 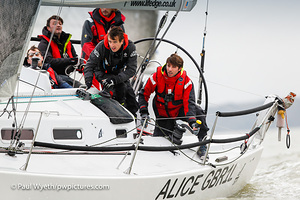 In IRC2, Simon Perry's J/109 Jiraffe won the final race, bringing them to within 2 points of overall leaders, Mike Bridges' Elan 37, Elaine, but it wasn't enough to knock Elaine off her top spot. 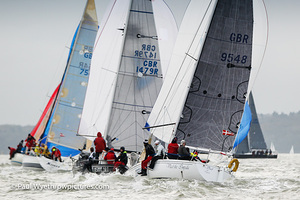 Jiraffe was followed on the water by Mike Moxley's HOD35 Malice in second and Robbie and Lis Robinson on Hot Rats in third. 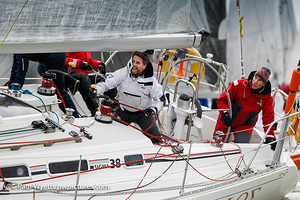 In IRC3, it was David Greenhalgh and crew on J/92 J'ronimo that scored a bullet in the final race of the series, ahead of Kevin Sussmilch's Sigma 38 Mefisto. 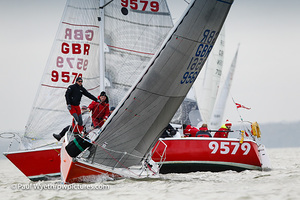 Jamie Muir's SJ320 Scarlet Jester finished third. 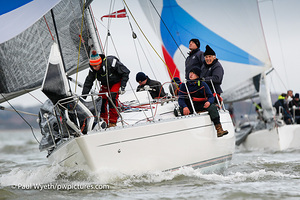 Robin Stevenson's J/92S Upstart was fourth, but this was just enough to hand them first overall, albeit by a small margin of 1.5 points. Scarlet Jester was second overall, with Mefisto third. 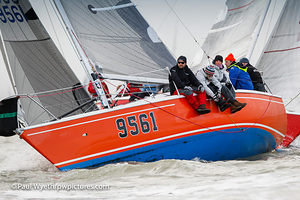 In IRC 4, overall winners Whooper stayed home, and this week Toby Gorman's Sigma 33 Stan the Boat took the top spot, finishing first and moving up a place overall to fourth. 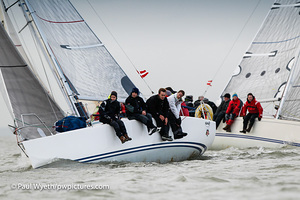 Stuart Danby's Mustang 30 Respect took second, which was enough to hand them second overall. Impala 28 Polly took third place on Sunday, but it was Jeffery Dakin on Flashheart who finished third overall in the class. 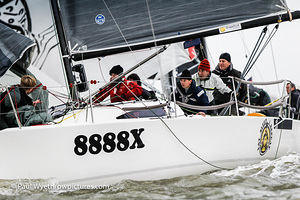 In the J/88 fleet, class leaders, Kirsty and David Apthorp on J-Dream, added another bullet to their score to win the race and take first overall. 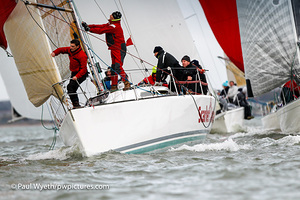 Behind them, a closely fought race for second place went to Gavin Howe and crew on Tigris, who finished 20 seconds ahead of Paul Ward's Eat Sleep J Repeat . This wasn't quite enough for them to stay ahead in the overall rankings, with Eat Sleep J Repeat sitting second overall by one point. 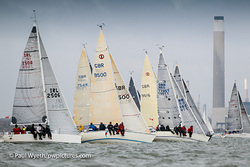 Best start prize this week went to Impala 28 Polly in IRC 4, while the Top Dog award went to Sigma 33 Stan the Boat. Thanks to all competitors and volunteer race teams and helpers for a great series. The series prizegiving takes place on Saturday at HRSC, and the club looks forward to seeing crews there.